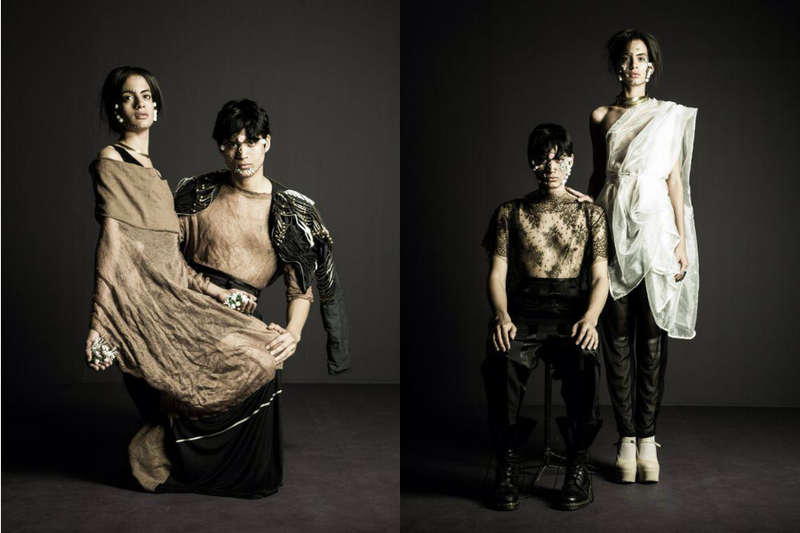 I am pleased to share with you guys my exclusive interview with Jose Duran, an up-and-coming designer based in New York. We first met in 2010 at the Smalto Atelier in Paris while I was covering the Spring Summer 2010 shows. And since then we have managed to stay in touch via Facebook. 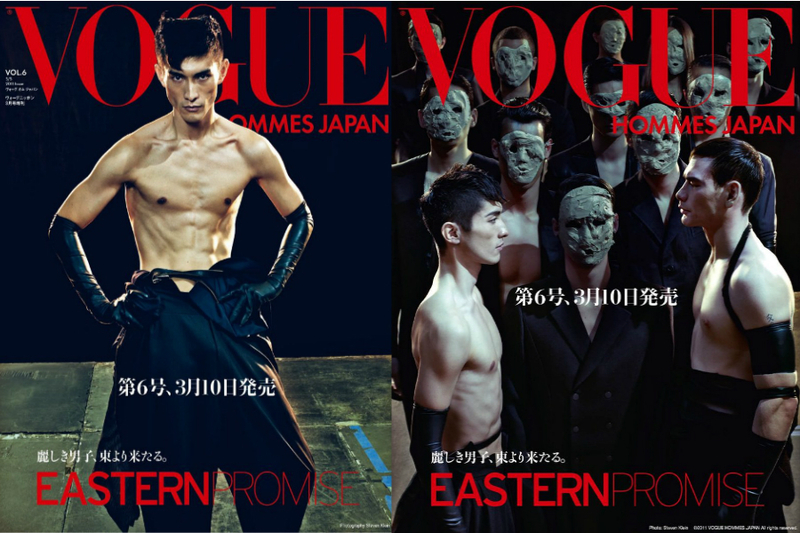 His works have graced some of the most-sought after international magazines such as Vogue Hommes Japan, Fiasco Hommes and Schon to name a few. So far, he already has presented his collections both in Paris and New York. And lets not forget his book entitled Welcome to My World which chronicles his work and his humble beginnings. Indeed, this talented young designer has a bright future ahead of him. And yes you saw him first here! Tell us something about yourself. What is your design background and your style philosophy? I am Jose Duran, the creator of Jose Duran. I was born and raised in Moca, Dominican Republic. At the age of 16, my family moved to the Bronx. Since then, I have been living in New York City. I took up International Relations in Florida and after three years in college I decided to switch to Fashion Design. Since then, I have been creating the world of Jose Duran, a free world, a world with great sense of style and a world where you can express yourself. What is the inspiration and the story behind your latest collection? What are the key pieces to watch-out for? You can find a great mixture of cultures and styles from my latest collection. I was inspired by the sportswear culture of the 80's particularly the extra large silhouettes, the Hindu traditional culture and the Mexican gangs from the 40's until now. For this collection, I injected pastel colors and lovely lacework. My favorite piece has to be the unisex lace top. I am pretty sure it will get lots of attention. When did you realize you wanted to become a fashion designer? What was your turning point? I have always wanted to be a creator. I always knew there was something in me that was different from everyone else. With the unwavering encouragement and support of my friends and people who I did not even know at that time, I eventually realized that International Relations was not a career for me. So, I moved back to NYC and enrolled at Katherine Gibbs to give Fashion Design a try. Are there any particular fashion designers whom you look up to? And why? I admire Vivienne Westwood a great deal. I love her freedom of creating and expressing herself through fabric. It is a dream for every aspiring fashion designer to live in a big fashion capital like New York or Paris. So, what's it like living that dream? For me it is not a dream but a reality. Even before I knew I was going to be a designer in New York. Paris opened my creativity a great deal. Living there was amazing: watching the shows and meeting creative people like stylists, photographers, designers and other collaborators. And in Paris, I was fortunate to meet some of the best people in this industry who I eventually became friends with. I always go back to Paris whenever I need to feed myself with creativity and that special touch that the French creatives have. Being an independent fashion designer, what have been the toughest challenges you have experienced lately? Being independent is very difficult but nothing is impossible in this world. I come from a poor family. This is why I could not seek financial support from them. Everything I have now comes from hard work. I also owe it to my very supportive friends and people who believe in me. Creating each collection is a huge struggle but there is always a way. What are the most important lessons you have learned so far in this industry? Always respect everyone. Burning bridges is the worst thing a young designer can do. You are fond of incorporating unisex pieces into your collections. Do you think the world in general is ready for that kind of fashion? The world is ready for unisex pieces. Everyone has a different personality but deep inside we all want to be stronger or softer. For many years women have been wearing suits and pants and now we can see more men wearing soft fabrics and skirts. Has your ethnic background influenced your work as a designer? If so, in what way? Being from the Caribbean, my roots have certainly influence me on my work. I get inspired by the vibrant energy of my people. Dominican Republic's picturesque landscapes and rich local folklores also inspire my work. If you didn't end up in the fashion industry, where do you think you are now? A painter for sure, a crazy abstract painter!